It can be difficult to find a gluten-free, grain-free, dairy-free, egg-free dessert that really blows you away. 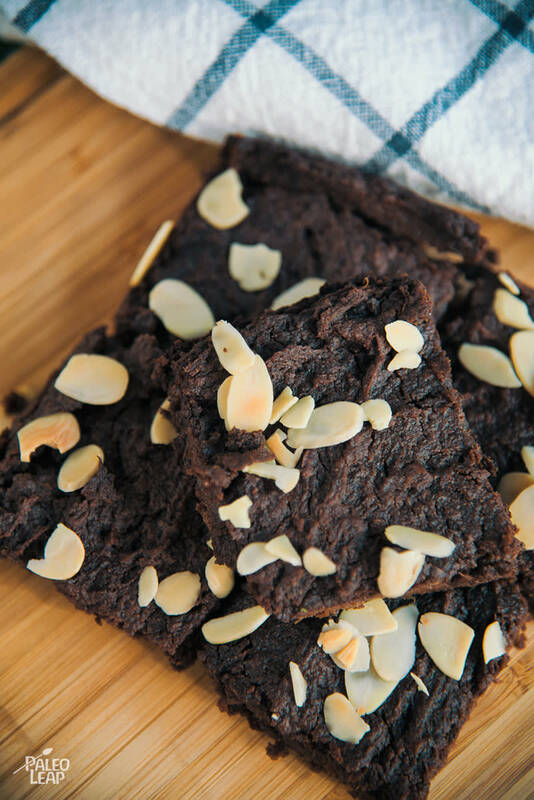 Here come the scrumptious sweet potato brownies to knock you back in your seat and send a pleasant reminder why you decided to eat Paleo in the first place. Moist and fudgey, these brownies will surely gratify your chocolate tooth, just as they do ours. Always make sure to choose a good dark chocolate for the best dessert results – pay for quality cocoa and be rewarded with intense flavor and depth of character. Why pay for sweet potato puree when you can make it yourself? Peel and cut into small chunks 1 or 2 sweet potatoes (depending on size – you need one cup in total), place them in a saucepan and cover with water. Bring to a boil and cook until tender, about 15-20 minutes. Drain them well, and puree in your blender or food processor. Once chilled, you can keep any extra in your fridge for a few days, in case you want to make another batch of brownies as a gift. You don’t really need to serve these intense brownies with anything other than a napkin, just try not to eat the entire pan at once! But if you really want to go all out on a chocolate binge, we know from personal experience that a coconut milk hot chocolate makes a great companion, especially on a cold winter day. If you are eating these amazing brownies in summertime, then make that a cold coconut milk chocolate instead. Melt the almond butter in a saucepan over low heat. In a bowl combine the sweet potato puree, melted almond butter, cocoa powder, and vanilla extract. Mix until everything is well combined and pour into a greased 8×8 inch pan. Top the mixture with the sliced almonds and place in the oven. Bake in the preheated oven 20 to 25 minutes, or until no longer runny. Let the brownies cool completely before slicing.